Before you name a payable-on-death (POD beneficiary) for a bank account or CD, there are a few issues you should think about. It's perfectly fine to name a minor—that is, a child younger than 18 years old—as a POD payee. If the account is worth more than a few thousand dollars, however, you will probably want to arrange for an adult to manage the money in case the beneficiary is still a child at your death. If state law allows it, the money can simply be given to the beneficiary's parents, who will hold the money for the benefit of the child. If the amount is relatively small—generally, a few thousand dollars, depending on state law and bank custom—the bank will probably turn it over to the child or the child's parents. You can easily avoid court involvement, which can be expensive, intrusive, and time-consuming. You can choose someone now, and give that person authority to manage the money, without court supervision, in case the child is still younger than 18 at your death. The easiest way to do this, in most states, is to name an adult to serve as "custodian" of the money. Custodians are authorized under a law called the Uniform Transfers to Minors Act (UTMA), which has been adopted by every state except South Carolina. All you need to do is name the custodian as the POD payee of the account and make it clear that the custodian is to act on the child’s behalf. That gives the custodian the legal responsibility to manage and use the money for the benefit of the child. When the child reaches age 21 (in most states), the custodian turns over what’s left to the beneficiary. Even if you live in South Carolina —the only state that hasn't adopted the UTMA—you can still appoint a custodian if the custodian or the minor lives in a state that has adopted the law, or the bank account is located in a state that has adopted the law. You may well want to name more than one person to inherit the money in a bank account—for example, your three children. That’s no problem; you just name all the beneficiaries on the bank’s form. 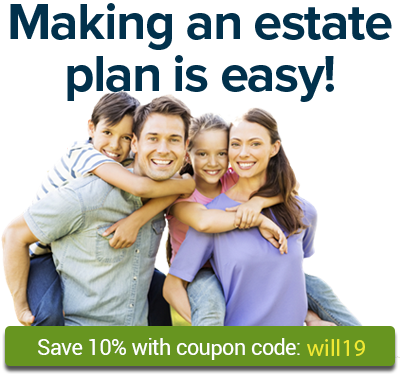 Each will inherit an equal share of the money in the account unless you specify otherwise. In a few states—Florida, for example—you cannot change the equal-shares rule. If you're concerned about this issue, check your state’s law or open a separate account for each beneficiary. If you list three payees, and one of them dies before you do, all the money will go to the two surviving beneficiaries. If that’s not what you want, you should name new POD payees after a beneficiary dies—or set up separate accounts in the first place. It's unlikely, but your state's law may restrict your ability to name an institution, such as a school, church, or other charity, as the beneficiary of a POD account. Delaware law, for example, requires the beneficiary to be "a natural person." And before Georgia changed its law recently, charitable corporations couldn't be POD beneficiaries of bank accounts or certificates of deposit. Some states (Oklahoma, for example) don't allow for-profit companies to be POD beneficiaries. You can't shortchange creditors or family. If you don't leave enough other assets to pay your debts and taxes or to support your spouse and minor children temporarily, a POD bank account may be subject to the claims of creditors or your family after your death.